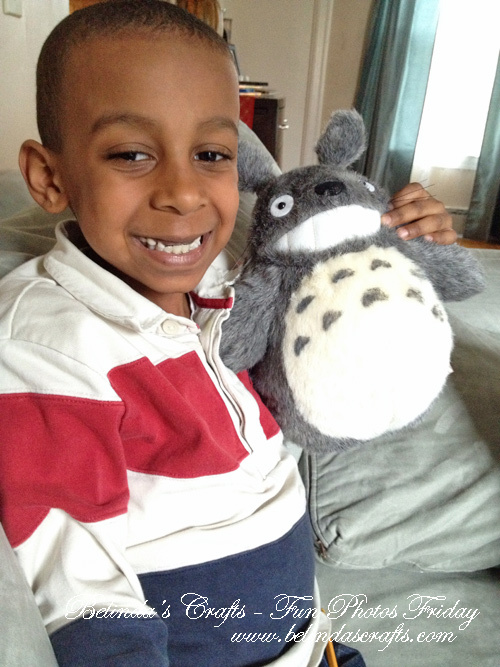 One of Apollo’s favorite movies is “My Neighbor Totoro” by Hayao Miyazaki, one of Japan’s beloved animator. We have collected and watched many of his films. But Apollo couldn’t stop talking about the character Totoro. So I headed online to Amazon and of course there were several to choose from. I let him pick out the one he wanted and ordered it. On Monday, it arrived and I placed him on Apollo’s bed for a surprise when he arrived home from school. I told him to go make his bed after he hung up his coat because he hadn’t made it in the morning. Seems like after school works best for both Nicholas and Apollo so I try not to cringe when I look at it all day. 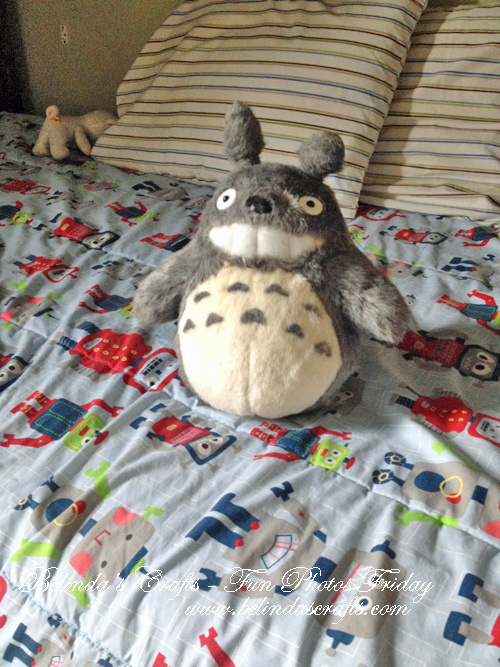 He was so thrilled when he saw Totoro sitting on his bed. 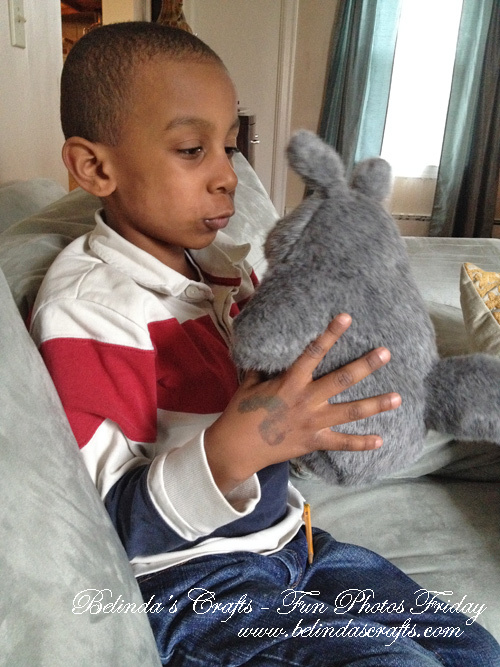 He spent much of the afternoon making Totoro “talk” and then introduced him to his other stuffed animals. Looks like Totoro has all of his adult teeth. Apollo has some catching up to do! 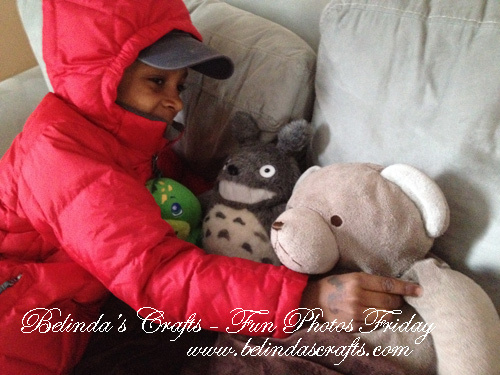 The next day before Apollo went to school he tucked Totoro, Bee and Dino under the blanket on the couch. I was charged with watching them while he was at school. I know he is getting older but I still adore his relationship with his stuffed animals. I apologize for few posts lately but I have been working on some products for a custom order for Belinda’s Crafts and trying to balance my blogging time has been a little more challenging.